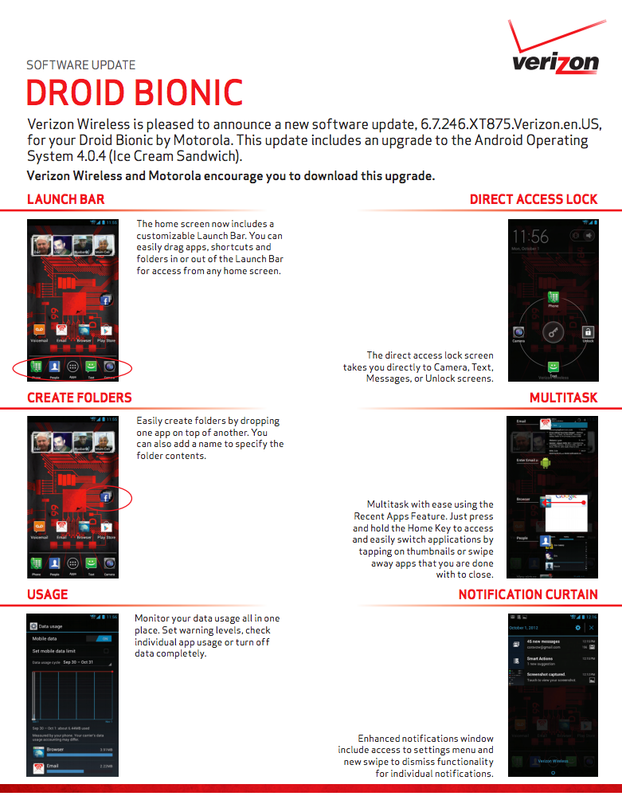 Ahhhhh yeah, DROID Bionic owners. We know you about threw your phone through the window when Verizon announced that the LG Lucid would be receiving Ice Cream Sandwich tomorrow, before you, but they came through moments ago. The support docs for the ICS (Android 4.0.4) update for the Bionic have been uploaded, which means that it has been approved and should start to rollout any day. The update includes all of the goodies that you would expect in ICS, like new swipe-able notifications, a more stock Android look, quick folders, new lockscreen, better multi-tasking (press and hold “Home”), and data management. 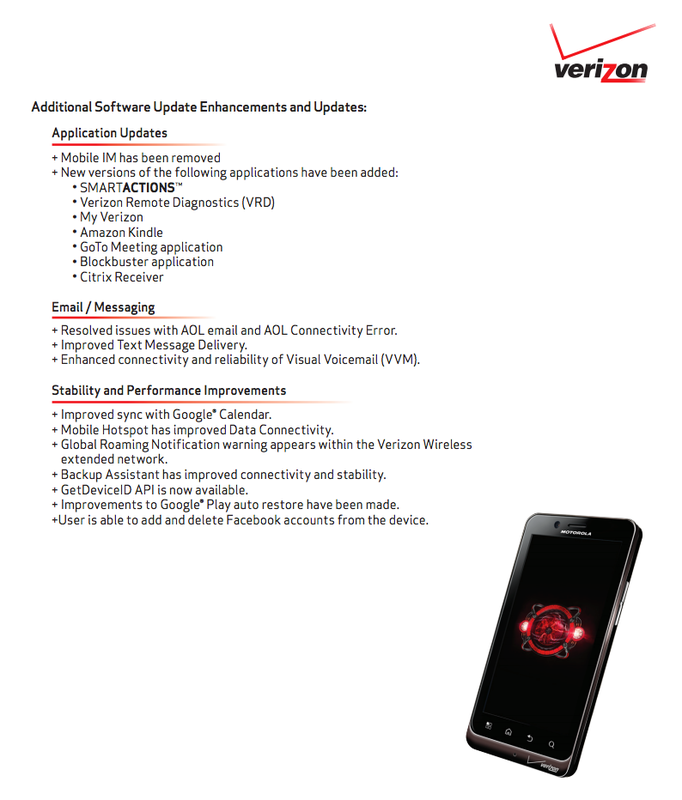 Motorola also tossed in Smart Actions, improved Google Calendar sync, improved Google Play, and updated all sorts of bloatware. The update is 368MB in size.